Royal Brunei or RBA is the flag carrier of Sultanate of Brunei, headquartered in RBA plaza in Bandar Seri Begawan, the capital of Brunei. Formed on 18th November 1974 with an initial fleet of two aircrafts serving Singapore, Hong Kong, Kota Kinabalu and Kuching in Malaysia, Royal Brunei has travelled a long distance and great achievements. 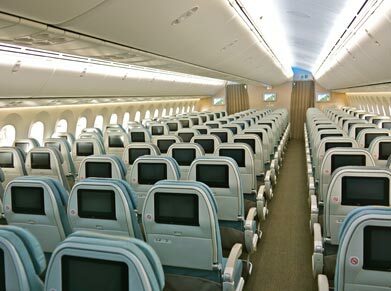 Now the airline has emerged as a world-class player decked with modern amenities and efficient services. Wholly owned by the government of Brunei, the airline has its hub at Brunei International Airport in Berakas situated just to the north of Bandar Seri Begawan. Since its humble beginning the airline is steadily growing with a fleet of 10 aircrafts to 14 destinations covering Southeast Asia, the Middle East, Europe and Australasia. It also appears the winner of prestigious “Best Foreign Airline Award” in the category of “Awards for the Best Airlines” at Sabah Tourism Awards in the year 2011. Royal Brunei is working very hard to make travel safe and environment friendly for its customers by practicing highest standards to achieve perfection and excellence. The personal screens and entertainment selection allow for total control with Audio, Video and games on demand. Food “fit to fly by”, which was introduced in October 2003, is one of the Royal Brunei’s slogans featuring healthier and lighter in-flight menu options for its customers. Passengers can enjoy the same caring service from ASEAN flight attendants along with skillfully prepared meals. Relish the most detectable cuisines from the best of Asian delicacies along with some great hospitality. Audio entertainment is also available in multiple languages. 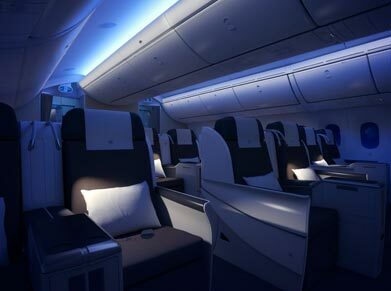 The Business Class seat deploys an inclined bed adorned with plush duvet and a larger pillow for peaceful sleep. Each seat comes with an in-seat power connector and a 10.1inch personal TV. The seat features a pull-up screen to get extra privacy. In October 2003, “food fit to fly by” meal concept was introduced into Royal Brunei ‘s in-flight menus featuring both healthier as well as lighter meal options for customers. Relish the most detectable cuisines from the best of Asian virtues along with some great hospitality. The multilingual cabin crew from Asean countries delivers quality service that you surely cherish throughout your life. Royal Brunei offers a variety of tasty culinary delights to suit its passengers’ special dietary requirements. For this service passengers need to confirm their request at least 24 hours before boarding the flight. Royal Brunei’s SkyShow Entertainment system gives passengers variety of entertainment options throughout their journey. Enjoy watching hit movies, classic Hollywood films and hit TV series for all ages. You can even download the screening schedule of all flights, movies and music channels as well.